Are you ready to sail the seas in style? 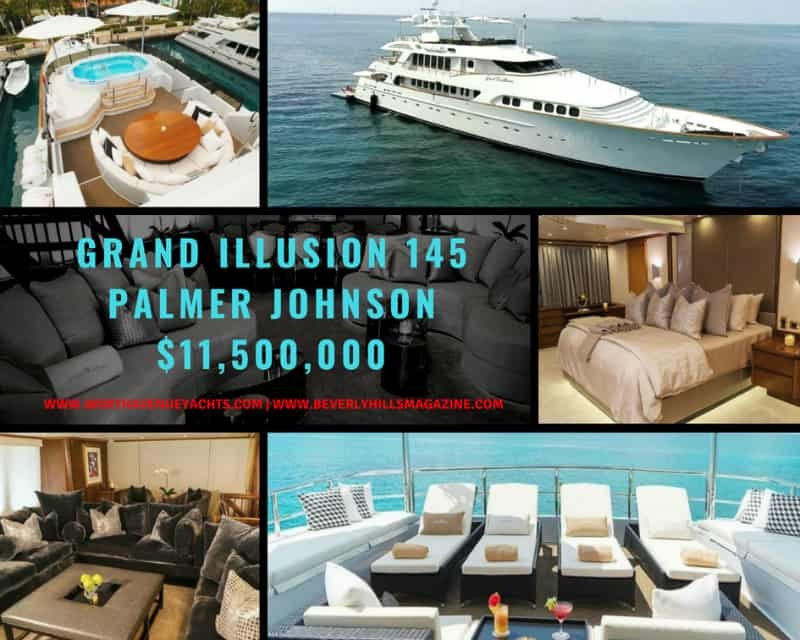 Then check out the Grand Illusion 145 Palmer Johnson Yacht! In its current state, this is one of the best looking yachts of all time. And once you step inside, you’ll be more than prepared to take the longest cruise ever! 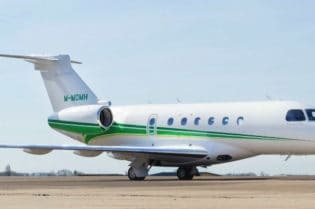 Everything about this vessel prioritizes comfort and great looks. 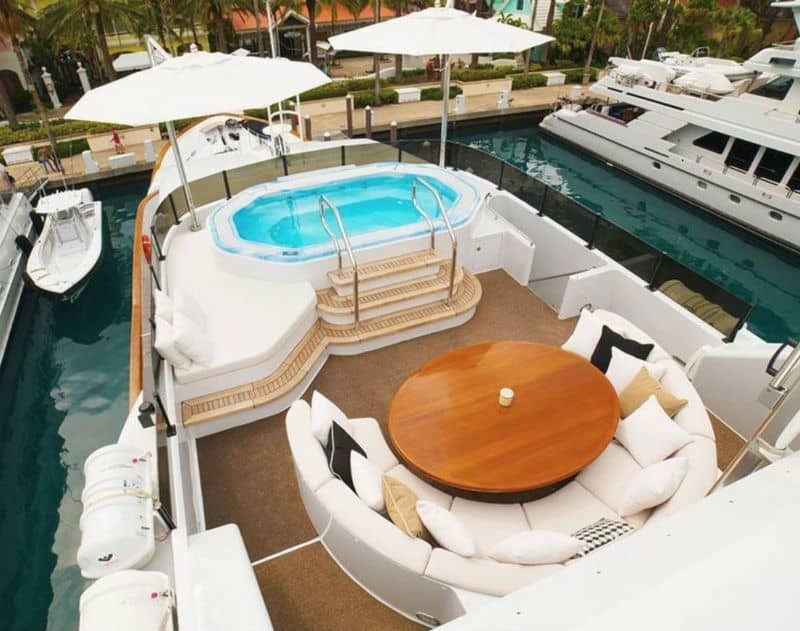 So let’s hop on board and see what this luxury yacht is all about! Before we board this vessel, let’s first take a look at the motors powering it. You’ll get two Detroit engines to carry you to your destination. And at 1,400 hp each, they do a pretty good job of getting you where you need to go. 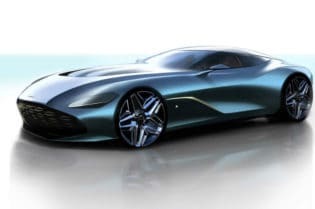 As far as speeds go, you’ll get a cruising speed of about 8 mph and a top speed of roughly 10 mph. So overall, it’s smooth sailing for this yacht! 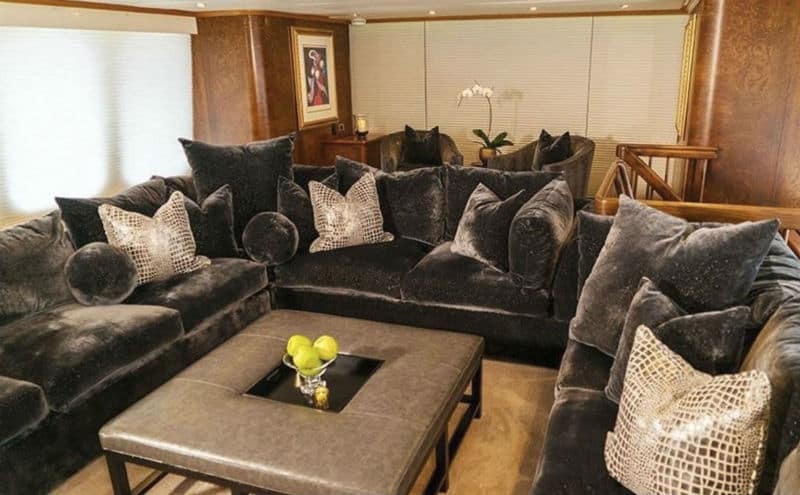 Overall, the Grand Illusion comes equipped with all the amenities you could ever ask for on a yacht and then some! For starters, you’ll get 5 different cabins that will comfortably fit 11 guests. And these rooms are some of the best you’ll ever find on such a vessel. Starting off with the master suite, you’ll get a king sized bed, a walk-in closet, a sofa, vanity, and a his and hers bathroom equipped with a walk-in shower and separate toilets. The other cabins consist of an “Alabaster” and “Ebony” Room complete with bathrooms and California king beds. Then there’s a “Silver” room with a queen bed and a “Twin room” with two single beds. 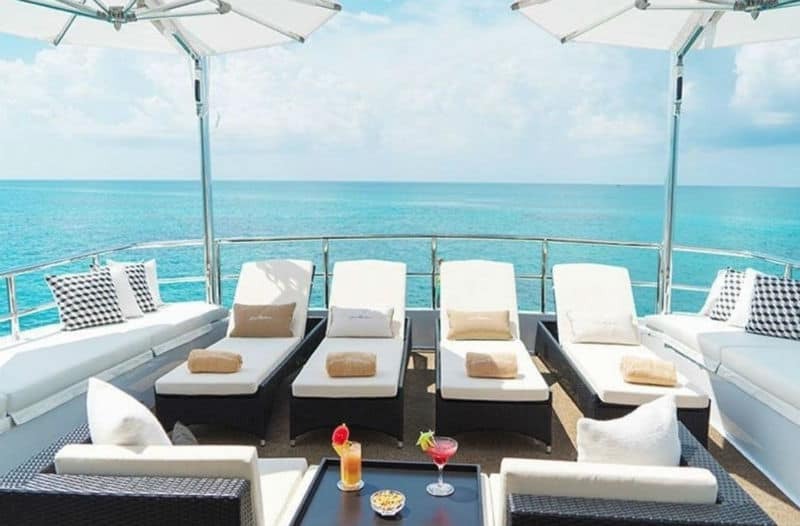 So overall, your guests are covered when it comes to relaxing on the ultimate sea-getaway. 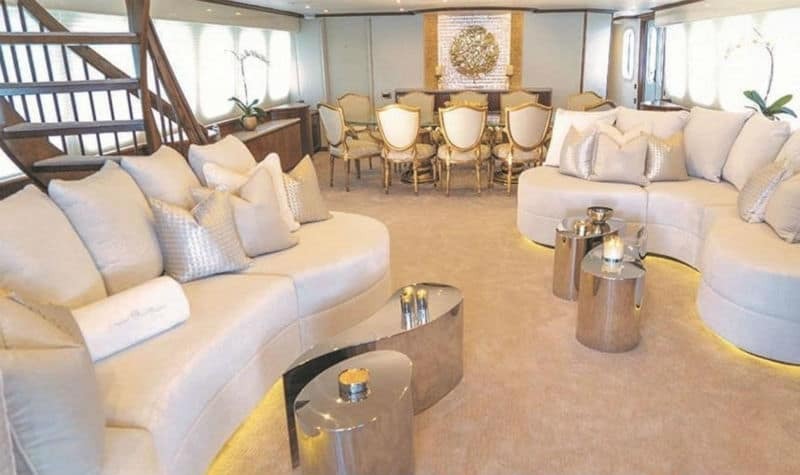 Moving to the main parts of the vessel, you’ll get a massive lounge area. This space is equipped with couches and tables. So it’s perfect for hanging out and socializing. In the next room, you’ll get your dining area. It’s pretty formal and seats up to 10 people. In other words, this is where you’ll host any important meals. Onboard, you’ll also get a sky lounge. When it comes to kicking back and enjoying the scenery, this is the place to do it. You’ll have plenty of couches and an entertainment center to keep your guests occupied for hours. Plus, it’s the perfect space to relax and have a nice drink. You can even step outside and enjoy the ultimate sunset dinner in this space! As far as decks go, you’ll get a typical sundeck. This area is fitted with a Jacuzzi, open-air cinema, some loungers, and a wet bar. So again, it’s perfect for relaxing or having fun with some friends and family. What’s the Price of a Grand Illusion 145 Palmer Johnson? 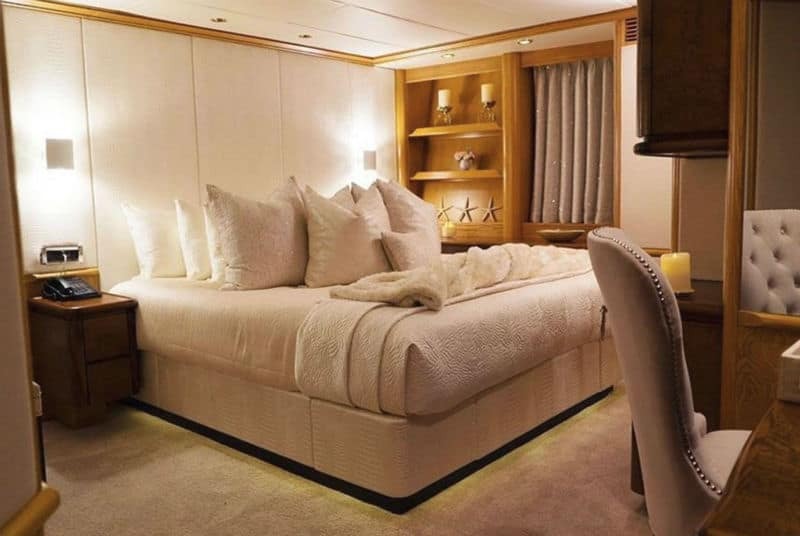 This fine and luxurious yacht comes equipped with only the best amenities. 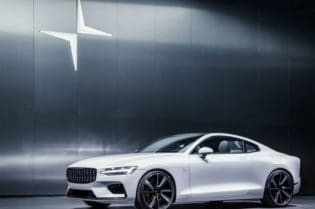 As such, you can typically find it for around $11,500,000. 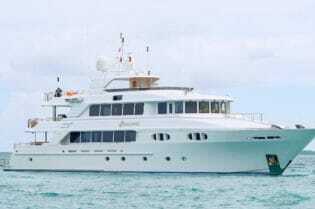 Here’s one you can purchase now if you’re interested in sailing in luxury! 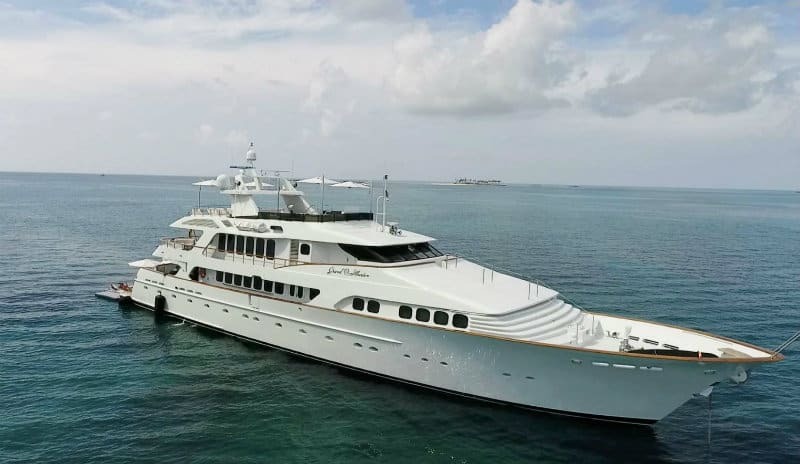 Few other luxury yachts will offer quite the rich assortment of amenities and comfort as the Grand Illusion 145 Palmer Johnson. With some incredible design by Demetri Christian and countless hours of fun on board, this is hands down the vessel you’ll want to use for your next vacation at sea. 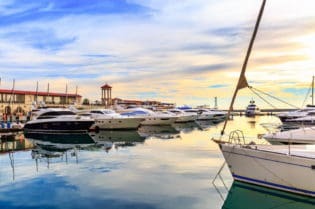 So don’t hesitate to pick up this yacht for yourself today!